In my training class for tire engineers and technicians, a concept I feel is important is discovering the "Root Cause" or real reason for the failure. 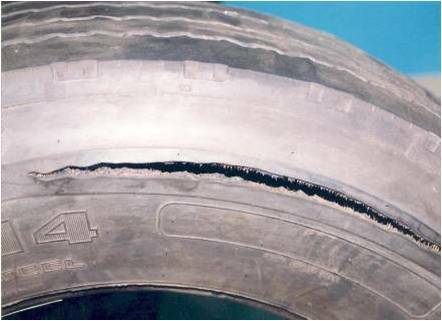 There is difference between reporting or simply stating the condition of a tire such as "a Blowout" and the reason for the condition. If you don't understand the underlying reason for the tire's condition or what initiated the series of events that led to the failure, then the corrective action you take, may not prevent another failure. many would simply say "we had a blowout". 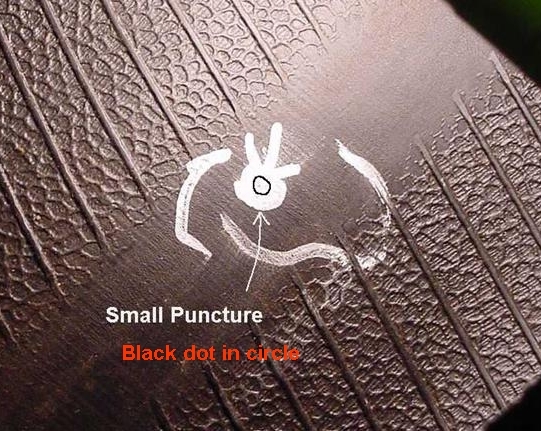 If they then read the information on the tire sidewall that says "Made in xxxxx" or if they read the DOT serial and used the information on THIS website to learn where the manufacturing plant was located they might simply claim the tire failed because it was made in country xyz. They then simply jump to the conclusion that the way to prevent having a similar failure in the future would be to only buy tires not made in the same country the failed tire was from. They might feel better but in all probability they will not have taken the appropriate action to lessen the chance of having another failure as the country of origin in itself, is no more likely to have "caused" the failure than would the fact that the tire plant was painted blue rather than green. Lets step back and look for physical evidence for the real reason or "Root Cause" for the failure. A simple trick is to ask WHY? at least 5 times. Here is how it works in the case of this failure. 2. Why did the sidewall shred? Answers might be: Possibly hit a pot hole or tire was driven on after it lost air. 5. Why did the tire leak? or Why didn't you know the tire had lost air? Answer might be: The valve failed or I had no Tire Pressure Monitor System. Now you have enough information to take the appropriate action as simply changing brands of tires will not stop the valve from leaking or give you warning of an air loss due to puncture in the future. Now to help you out with understanding what evidence can help you ask the correct questions I will offer a few examples of various conditions. 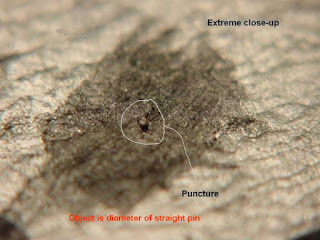 Steel body ply fatigues along the line of greatest bending sometimes resulting in a "zipper"
Steel fails (think paper clip) when bent back and forth more than it was designed to for many cycles. You can see this "necking" with a low level magnifying glass. I hope this helps you understand that it is very difficult to stand back 10 feet and look at a tire and know why it really failed. I also hope that you have a better appreciation for the fact that if you don't investigate and learn the real reason for the failure simply changing the tire brand may not prevent another occurrence. If you have a failure you need to preserve as much of the evidence as possible so either you or the tire dealer you work with can do a more thorough "autopsy" to learn the real reason for the failure. If the tire is under warranty, the dealer or manufacturer will want to be able to examine the failed tire. 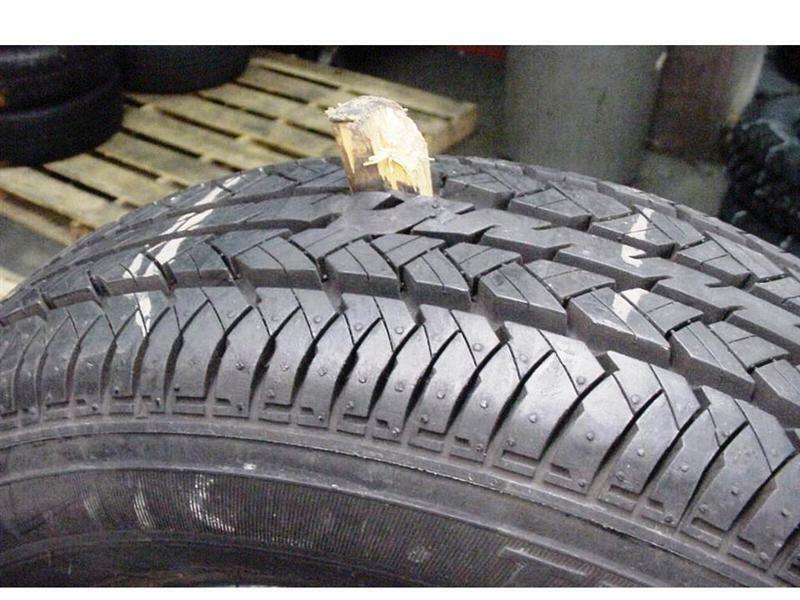 It is unrealistic to expect compensation for a failed tire without you being able to provide the evidence of the failure. The major manufacturers have teams of engineers who's job it is is to inspect failed tires so appropriate action can be taken. This is why I suggest that you buy your tires from a large tire company with thousands of stores rather than buy the cheapest tire you can find at "Billy-Jo-Bob's Bate Shop & Cheap Tire Emporium" . I am pretty sure the Boy Scouts were not thinking about RV tires when they selected the motto of "Be Prepared". However that motto does provide good guidance for RV owners when it comes to their tires and being prepared in the event of a failure or even better yet being prepared for travel in a way that can decrease the chance of having a failure. Right now most RV owners either have their rig parked under cover for the winter or are keeping relatively warm in our southern states. In either case there are not many RVs on the road this time of year. But in another couple of months it will be time to get the cover off the rig, dig out the campground guides and start planning their adventures. I would like to offer some suggestions on a few things to do that can make your life a bit easier when it comes to maintaining your tires and steps to take that may possibly save you grief down the road. You should be able to find a dealer for your tire brand that is willing to give your tires an external visual inspection. I covered this in detail in this post. They should look for bulges in the sidewall or an out of round tread. Cracks or cuts that exceed the specifications provided to the dealer by the tire manufacturer of your brand of tires. I believe that all competent and properly trained dealers should have a guide with specifications on what would be considered an "adjustable" level for depth or width of crack or cut. 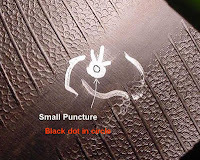 Even if the tire is out of warranty those levels would be a good guide for what the manufacturer considers safe or not. 2. Inflate the tires to the level required for your unit. For trailers this usually means to the inflation on the tire sidewall. I covered my suggestion for trailers in depth in a post just for trailer owners. I would include all towable units, even dollies in this category. For motorized units this would probably mean the minimum needed to carry the highest expected load plus 5 to 10 psi "cushion". You can refresh your memory about the importance of proper inflation here. If you haven't had your RV weighed and calculated the individual tire loads I strongly suggest you read this post. You can check the RVSEF web site for the schedule of locations they will be doing RV weights. Here is a site with downloads and worksheets on how to calculate actual loads. 3. While at the tire dealer confirm your tire gauge matches the calibrated master gauge the dealer has. It doesn't do you much good to check your tires if your gauge is off by 10%. I covered gauge accuracy in a post and you can see the high failure rate observed based on actual calibration checks..
4. Record your full DOT serial, including the date code. If you write this information in your record book and file it along with other important papers such as insurance and registration you will only need to do this once in the life of the tire. If you have this you can easily calculate the tire age and even check if the tire is on a recall list in the event of a recall or safety campaign. 5. 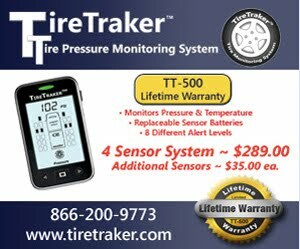 Install your TPMS and confirm the batteries are working. I hope you all have a safe and enjoyable 2013 RV season.